The family of fat is very complex, so to make it less confusing, picture it as a family tree. At the top, there are two different families of fat—saturated fat and unsaturated fat. Saturated fat (butter is one example) is packed with hydrogen atoms, making it solid at room temperature. 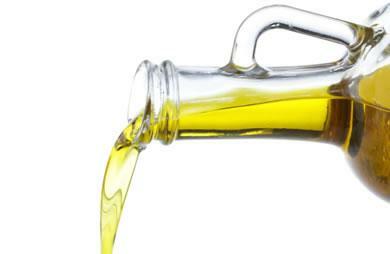 Unsaturated fat (like olive oil) contains fewer hydrogen atoms, so it is liquid at room temperature. The family of unsaturated fat includes two children: monounsaturated fat and polyunsaturated fat. In the polyunsaturated fat family, you’ll find omega-6 fatty acids and omega-3 fatty acids, and it is the omega-3 family that has been making headlines in the nutrition world. There are actually three types of fatty acids that are collectively referred to as omega-3’s: ALA (alpha-linolenic acid), EPA (eicosapentaenoic), and DHA (docosahexaenoic acid). Besides being hard to pronounce, they are extremely important to your health. Omega-3’s are “essential” fatty acids, because they are necessary for health and must be included in your diet (because the human body cannot manufacture them on its own). But what exactly are they used for, and what do they do for human health? Help prevent cancer. Colon, breast, and prostate cancers have all been correlated with low intakes of omega-3’s. The three different types of omega-3’s are found in specific types of foods. ALA is found in foods of plant origin. The richest source of ALA is flaxseed, but it is also found in hempseed, canola oil, soybeans, soybean oil, pumpkin seeds, pumpkin seed oil, linseeds, walnuts, and walnut oil. Once ingested, the body converts ALA into EPA and DHA, allowing it to be more readily used by the body. However, this conversion isn’t very efficient. That’s why experts recommend including EPA and DHA sources in your diet as well. *Note: Flaxseed oil supplements are available in liquid and capsule form, but always consult your health care provider before taking any supplements. DHA is found in seafood, algae, and coldwater fish such as salmon, sardines and albacore tuna. *Note: Fish oil supplements and vegetarian DHA supplements (containing algae) are also available in liquid and capsule form, but always consult your health care provider before taking any supplements. Only use fish oil supplements that have been certified to be free of heavy metal contaminants like mercury. EPA is found in many of the same foods as DHA, including cold-water fish such as salmon, and sardines, as well as cod liver, herring, mackerel, and halibut. *Note: Fish oil and vegetarian algae supplements are also good sources of EPA, but always consult your health care provider before taking any supplements. Only use fish oil supplements that have been certified to be free of heavy metal contaminants like mercury. Enriched eggs that contain all three types of omega-3 fatty acids are readily available these days. These eggs are enriched by adding flaxseed or algae to the hens’ diets so that they produce eggs that are rich in healthy fats. According to the Flax Council, omega-3-enriched eggs provide almost half of the recommended daily level of ALA and one-quarter of the recommended daily level of EPA and DHA—the same amount that can be found in 3 ounces of fish. 1 serving daily of Nordic oil. In general, fresh fish contain more DHA and EPA than frozen fish. *Click Here to learn more about the Fish oil we sell here in the clinic. Omega-3’s might seem overwhelming at first. But once you understand the types and “mega” health benefits that come with them, you’ll be on your way to improving your health. Now that’s something to brag about!